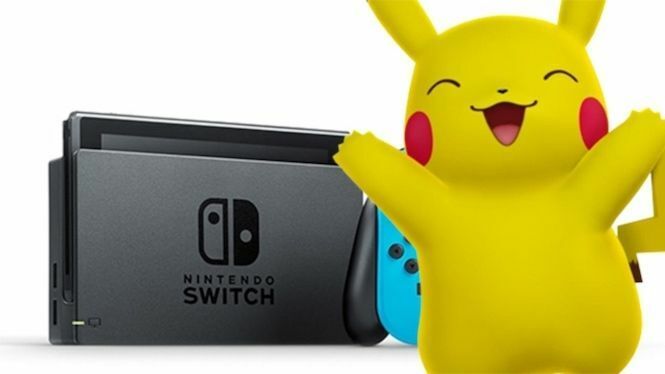 Nintendo Still Lists Pokemon Switch Release Date as "2018 or Later"
Nintendo is giving fans hope that the newest Pokemon game will still come out later this year. The video game company released its quarterly investor report, which provides updates about the company's performance and lists some of its upcoming products and estimated sources of revenue for the remaining fiscal year. The report notes that the upcoming Pokemon Switch titles are still due to come out in "2018 or later," despite a lack of any news about the games. Last year at E3, Game Freak (the maker of the main series Pokemon games and a co-owner of the Pokemon franchise) confirmed they were working on a new Pokemon title for the Nintendo Switch, the first main series Pokemon games to ever be released for a home console. Game Freak and Nintendo have largely stayed silent about the games, although Nintendo previously confirmed that the games could come out this year in a previous investor statement. Rumors suggest that Nintendo is pressuring Game Freak to get the games out for the 2018 holiday season, as the one-two punch of the upcoming Super Smash Bros. game and new Pokemon games would solidify the Nintendo Switch as the hottest console currently on the market. However, every "insider" report saying that we'd get news about a Pokemon Switch game soon has been wrong so far. Currently, fans are looking to E3 as the most likely spot for a Pokemon Switch announcement, even though Nintendo has traditionally made Pokemon announcements separate from E3 as to not overshadow its other announcements. It seems likely that Game Freak is pretty far along in the development of the Pokemon Switch games, as the Pokemon Company has recently posted job listings for localization experts in Europe, which could be tied to the new games. However, the Pokemon Company usually likes having an extended marketing cycle for a new generation of Pokemon games, and that wouldn't be the case if Nintendo waited to announce the games at E3. For instance, Pokemon Sun and Moon had a nine month marketing cycle (February to November) while the Pokemon Switch games would only have five months (June to November/December). That doesn't mean it won't come out this year, it just seems like they're pushing the timeline a bit. We'll continue to know next to nothing about the next Pokemon games until we actually get an announcement of some kind. That doesn't mean that fans won't continue to speculate, or get unnecessarily hyped, but read any Pokemon rumors with plenty of skepticism.